The Middle Ages continues to be the historical period that is constantly being revived, reevaluated, and reenacted. The enduring interest in the medieval way of life and what medieval world should be has resulted in a wide range of iterations that fulfill contemporary society’s inherent desire to turn to an idealized past to in order to make sense of the present. 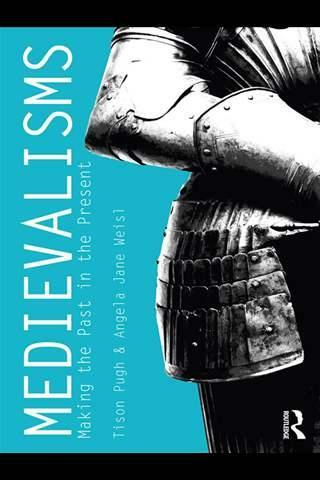 In the book Medievalisms: Making the Past the Present, Tison Pugh and Angela Jane Weisl recognize the enduring influence of the Middle Ages and address how medievalisms are interpreted and represented in modern culture. The book also exposes the reality of the impossibility of creating a clearly defined historical context because of the absence of any cultural, artistic, or political homogeneity in the centuries that bridged the era between the fall of Rome and the Renaissance. Medievalisms consists of nine chapters, and each chapter is devoted to topics that examine how the Middle Ages was envisioned in the past, and how this period has maintained cultural relevance for over 600 years. The argument that threads throughout the volume is that because of the impossibility of defining this historical period within a universal set of parameters, constructed medievalisms are stripped and sanitized of any authentic essence in order to fulfill contemporary artistic and cultural ends. Chapter One introduces the eight fields of investigation, while the second chapter examines the lasting relevance of Dante Alighieri as social, moral, and political figure. As a representative of both medieval high art and popular culture, Dante is an excellent segue to the next five chapters, which are devoted to the exploration of how art and culture have consistently relied on medieval personalities, myths, and principles, and how constructed medievalisms are in engaged with in order to reconcile contemporary issues. 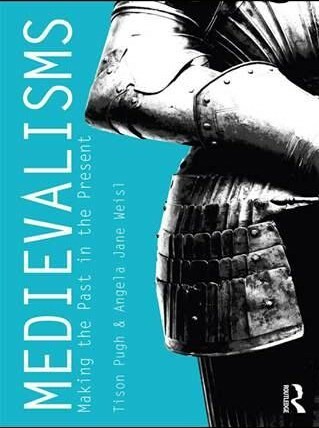 Pugh and Weisl devote two chapters to literary medievalisms in adult and children’s literatures, and discuss how looking back to the past authors to “coalesce around specific, if idiosyncratic, versions of the Middle Ages” (33). Citing a variety of works ranging from Edmund Spenser to writers of Southern Gothic, Pugh and Weisl recognize how authors mimic medieval romance cycles as a method for the promotion of nation building, and how they rely on the “medieval carnivalesque and grotesque” (42) to provide the appropriate “philosophical tenor” (42) and atmosphere in the aftermath of war. While adult literary medievalisms generally emphasize the public self, the authors suggest that children’s novels that take place in medieval settings provide stimulating environments for dealing with familiar themes and anxieties associated with childhood and growing up, and focus on innocence and the private sphere of the bildungsroman. Performed and experiential medievalisms are highlighted through examinations of topics such as medieval masculinities, cinema, music, and art, and all things “medieval” are challenged and praised in an exploration of how they are represented in popular entertainment. The lasting (albeit largely fictional) legacies of Robin Hood and King Arthur are considered in evaluations of of medieval masculinities and cinematic medievalisms, while the chapter on music and the arts considers the object, the idea, and the performance, and reveals how they are constantly redefined, reworked, and eagerly anticipated by modern audiences. The discussion of “Viking Metal” offers pertinent information regarding an interesting genre that is not often investigated outside of magazines that are devoted to heavier forms of rock music. The authors also offer insight into the ways video games and medieval theme restaurants allow people to passively engage with medieval history, and how active involvement in medievalisms is possible through participation in modern jousting, live action role-playing, and Medieval and Renaissance Fairs. The authors emphasize the popularity of these experiential performances and commend how communities are created, fostered, and sustained by artist and audience, actor and observer, regardless of each activity’s inability to produce a completely authentic representation of medieval life. At only 157 pages, with a significant portion devoted to documenting secondary source material, the volume is somewhat slim. Although the authors go to great lengths to provide an extensive bibliography for further serious enquiry, on its own Medievalisms is certainly not the definitive account of how the Middle Ages have been imagined in the past or how they are performed today. However, from the outset the Pugh and Weisl admit that their “goal is to start arguments, not to end them” (6), and by producing a very well researched and relatively well rounded book that focuses on how medieval history continues to be perceived and enacted, the authors do a reasonable job at meeting their objective. Admittedly, the book covers more ground than expected for its size, and while Pugh and Weisl’s appreciation for the period is evident, their admiration is tempered with reminders of the historical realities of the Middle Ages such as, “plague, infection, danger, violence, filth, intolerance, or torture” (135). Consequently, modern interpretations of what is medieval must always be allocated to the realm of the imagined. While often generous in their assessment of modern renderings of the Middle Ages, Pugh and Weisl have no difficulty criticizing how the period is often recreated or bringing certain medievalisms to task. In their analysis of experiential medievalisms, the authors make it completely clear that they disagree with video game creators and the claim that historically based video games such as Assassin’s Creed offer an authentic experience and “educate their players about a particular period” (126). Although these video games present historical characters and offer an “immersive experience” (126), they argue that through manipulation by a twenty-first century player, and by performing tasks that are only suitable for a video game (such as Leonardo Da Vinci as a retailer of questing equipment), these historical figures “are not occupying their ‘real’ roles or engaging in their own historical moment” (126). This is an important issue, and the Pugh and Weisl are correct in addressing it because these forms of manipulation occur in historical novels, movies, and television shows. Pugh and Weisl also make an effort to tackle the problems that surround political medievalisms, misunderstood historical axioms, and political missteps, and they firmly denounce groups such as the Ku Klux Klan and adopted and adapted ideas of chivalry and medieval knighthood, which fuel ideological agendas that promote xenophobia, racism, and hatred. As stated, Medievalisms is a slim volume of work; therefore, it is inevitable that there are issues with content that interfere with authors’ claim of the book’s comprehensiveness. These difficulties could have been avoided by adding an extra chapter, or by editing areas where information is common or where the subject matter has become redundant. For example, the chapter on literary medievalisms is an overview of information already available in comparative literature classes and medieval and Renaissance academic conferences; therefore, it offers no new insight into the field. It is well known that Spenser and Shakespeare considered Chaucer their literary forefather, and that authors continue to try to write themselves out from the shadow of their literary predecessors. Furthermore, an important point that is absent from Pugh and Weisl’s evaluation of medievalisms in literature is that throughout the Renaissance and Early Modern periods, writers such as Spenser, Shakespeare, and the Cavalier poets did not merely employ medieval romance as an attractive trope or as a way to bridge the Trojan past with the British present, the genre was also a literary method for conferring flattery upon the crown while safely conveying the values of proper governance to a monarchy that was usually dangerously unreceptive to criticism. While the chapter on literary medievalisms would be more useful if it was expanded or reimagined with some new and innovative material, it could be argued that the extensive examination of Robin Hood and King Arthur at the expense of other areas of medieval history means that information about a folkloric character and a mythic ruler takes up space that could be allotted to examining the modern significance of historically pertinent figures such as Richard I, Edward I, Edward the Black Prince, or Joan of Arc. By devoting an entire chapter to how two mythical figures represent the modern conception of medieval masculinities, as well as a chapter dedicated to Arthuriana in film, any in-depth examination of other areas of constructed medievalisms is sacrificed. However, the book’s primary focus rests on how medievalisms are perceived and represented in contemporary culture, and the legends of Robin Hood and King Arthur have done a significant amount to ensure that the Middle Ages remain popular in modern imaginations. The chapter on King Arthur and cinematic medievalisms offers an interesting analysis of anachronisms and how they inevitably make their way into all medieval films. By mining the vast corpus of Arthurian cinema, Pugh and Weisl provide five films for analysis that they believe represent Thomas Green’s rubric of naïve, abusive, serendipitous, creative, and tragic anachronisms. Although John Boorman’s Excalibur is excluded from the list, from Arthur Was a Gentleman (1942) and Monty Python and the Holy Grail (1975), to Knightriders (1981) and King Arthur (2004), the authors provide a selection that is eclectic enough to support the argument that medieval films frequently and intentionally use anachronisms “to impart messages about the past to the present” (86) and to create a historical film that is harmonious with a specific artistic vision (86). Pugh and Weisl’s detailed account of anachronisms in Arthurian-based cinema aside, it would have been informative and thought-provoking if the authors tackled films that assert a connection to historical truth such as (but not limited to) Mel Gibson’s Braveheart or Ridley Scott’s Kingdom of Heaven. While the latter is mentioned briefly, there is no reference to Gibson’s award winning yet historically inaccurate film about the life of William Wallace. This is a shame because for many people who have a passing interest in the Middle Ages, Braveheart and medieval films that claim historical authenticity are often an introduction to a medieval world, and as a result, these films have the capacity to shape perceptions of medieval history. Additionally, due to the popularity of television programs such as Game of Thrones, and The Borgias, and the impending broadcast premier of Vikings, hopefully there will come a time when Pugh, Weisl, and Routledge consider publishing a new edition that includes a tenth chapter dedicated to medievalisms on the small screen. The Middle Ages continue to provide ample subject matter that demands to be studied, interpreted, and performed either consciously and unconsciously by people with both deep and passing interests in the historical period. Medievalisms: Making the Past the Present is a significant contribution to the topic of how medievalisms are interpreted and enacted, and although there is room for improvement within the volume, it is a significant contribution to the recurrent question of why and how history influences modern culture. Pugh, Tison and Angela Jane Weisl. Medievalisms: Making the Past the Present. New York: Routledge, 2013. Print.